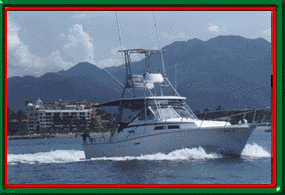 Make the most of your Puerto Vallarta Vacation fishing for Billfish, Blue Marlin, Black Marlin, Pacific Sailfish, Striped Marlin, Wahoo and Yellow Fin Tuna in Banderas Bay aboard Puerto Vallarta’s finest sportfishing charter fleet. Puerto Vallarta is located on mainland Mexico’s west coast, just about half way between Mazatlan and Acapulco. 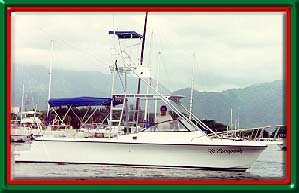 It lies roughly on the eastern mouth of the Gulf of Calirfornia, and is widely recognized as excellent sailfish, whaoo, striped marlin and blackfin tuna fishing water. 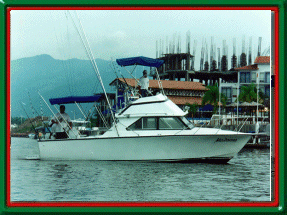 Vallarta’s sportfishing fleet is among Mexico’s finest. 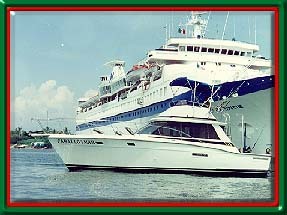 The Caballo De Mar, the La Escapada, the Champagne and the Madonna, are all berthed at Marina Vallarta.